Don’t be one of those B2B companies willing to try anything when it comes to your content. According to this Demand Gen report, 67 percent of B2B buyers rely more on content to make their purchasing decisions than they did a year ago. If your content is conceptualized, created and distributed under a haphazard strategy (you do have a strategy, right? ), you’re going to get haphazard results. And that never helped any company’s bottom line (or anything else, for that matter). What problems are your customers facing? Which ones can you solve? What solutions have they tried and which ones are they considering? Do they use your product or service, and if so, how? It’s also important to consider where on the ladder you’re most likely to have the greatest effect. 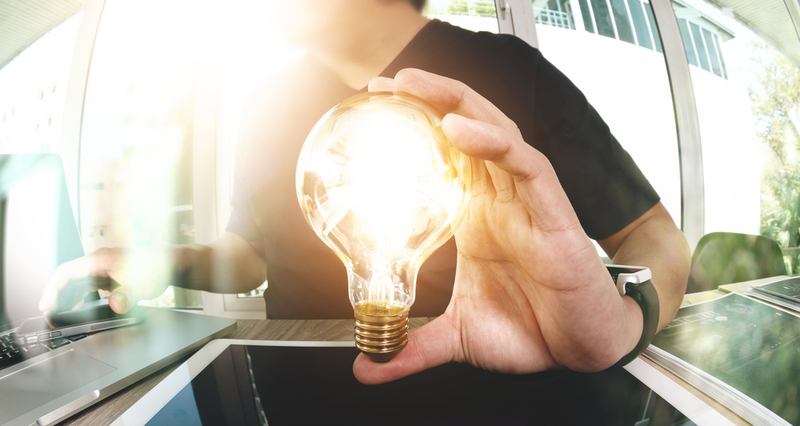 While a manager or executive may have the final say before a purchase, there are often influencers and information-collectors that do much of the legwork. Your efforts may pay off better if you target that group instead of the decision-makers. 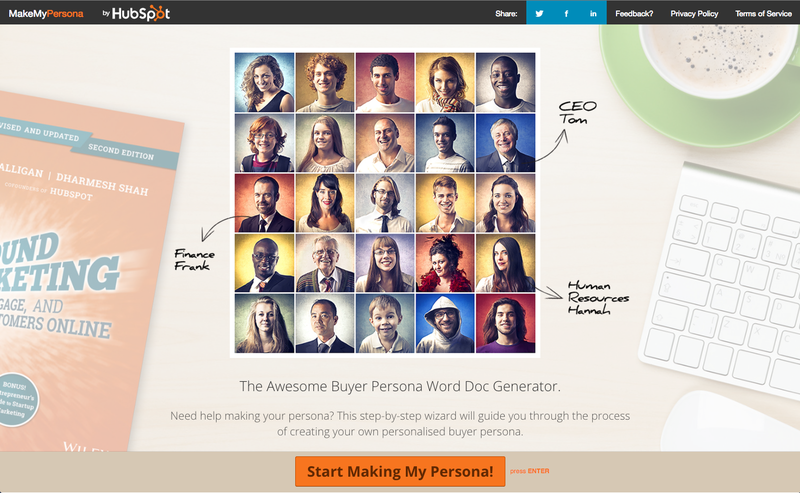 To make the process of defining your target market efficient, try HubSpot’s Make My Persona tool. It walks you through the process step by step, and the result is a document with all the details — right down to a photo of your ideal customer. No matter how great the pitch or how personable the salesperson, nobody likes to be sold to. If you’re focused only on selling your products and services, your customers will start to feel pressured and uncomfortable. You may be able to close a few deals and keep a few leads coming in, but your results will be far from ideal. Instead, think about your products and services as solutions to a problem — you possess the ability to make someone’s job easier, more efficient, more profitable. Reposition yourself as a problem solver, and then focus your marketing strategy on hitting those pain points and offering to relieve them. For a little help discovering what your customers’ pain points are, read this post from Copytactics. Once you create content around those pain points, use it to power a robust social media presence focused on problem-solving content. Creating a well-worn path begins with laying out a clear course for people to follow during the buying process. It’s not enough to create advertisements and put information on your website for people to find. Instead, the best marketing strategies gently nudge buyers down the funnel in a calculated, predictable way. Creating a map of your customer’s journey can be a complex process. To make mapping more organized (and even a little fun), check out this collection of journey mapping tools from Service Design Tools. “Get more sales” is not a specific, measurable goal. While you can certainly see if your overall sales have gone up in the last 30 days, it will be difficult to attribute that change to any particular segment of your strategy without considering a few other metrics as well. When 93 percent of marketers say they are under pressure to deliver a measurable ROI (Leapfrog Marketing Institute) and 50 percent find it difficult to attribute marketing activity directly to results (Forrester), you can see the importance of setting goals that are measurable and attributable to your marketing efforts. When you have multiple goals to meet at various points in the buying process, you’ll be able to identify where you’re doing well and at which point you are losing the most potential customers — and then you can refocus your efforts. Today’s successful marketing strategies include a whole lot of written content that is destined for blogs, emails and premium downloads. This content not only needs to be created and distributed, it also needs the ability to multiply for successful channels and provide a reliable, steady stream of information for interested readers. If the thought of writing a novel’s worth of content on a regular basis makes you nervous, take a page from the marketing pros and learn how to repurpose and repackage your content so it’s fresh and useful without reinventing the wheel. For example, an ebook that is meant to be a premium download can also be broken down into several blog posts. The reverse also works — look for blog posts with similar topics and repackage them as a whitepaper or an ebook. This post from Quick Sprout features additional suggestions for repurposing content. The most successful marketing campaigns center around the customer’s experience. They begin with a problem and a solution, and everything else is built around presenting this solution in a way that is helpful and informative to the reader. They present a clear path and anticipate possible sticking points to work out the kinks ahead of time. Lastly, they are scalable: to keep costs in check while still being able to ramp up, the most successful marketing campaigns use and reuse content and materials to continually provide useful, fresh information to help people choose the right solution for their problems. Neal Schaffer is an author, consultant and speaker. He is the co-founder of Social Tools Summit, the definitive conference in the social media industry, and he will soon launch the Social Media Center of Excellence. Follow him on Twitter.